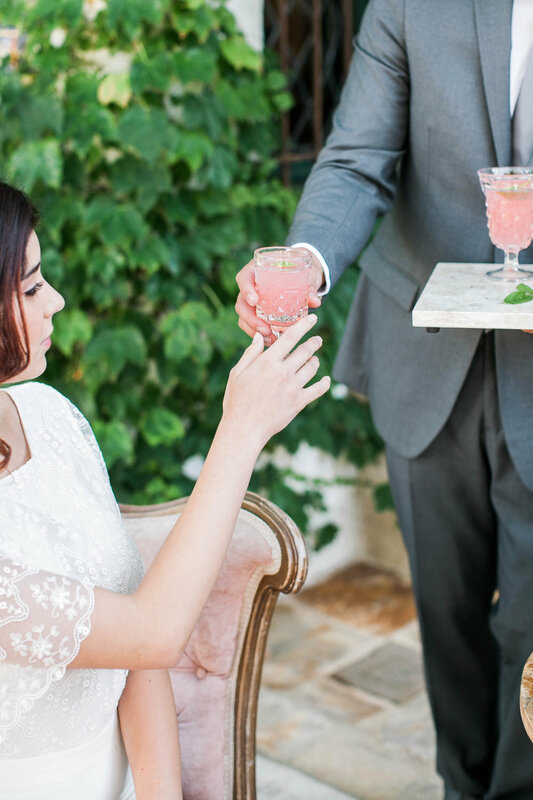 Have you started your wedding venue search yet?! When I was wedding planning that was one of the most overwhelming parts for me. A million thoughts came to mind and there were so many variables to consider: I had to figure out what county, then the city, then there was the question of whether it would accommodate my guest list, I also had to figure out how late we could party till and then the dreaded reality of whether I could afford it or not. If you need a little more help here, check out these tips on what to do after you get engaged. As a planner, one of my favorite venues in Orange County, Ca is The Villa wedding venue in San Juan Capistrano. It has the quaintest home, the most intimate courtyard and professional staff. 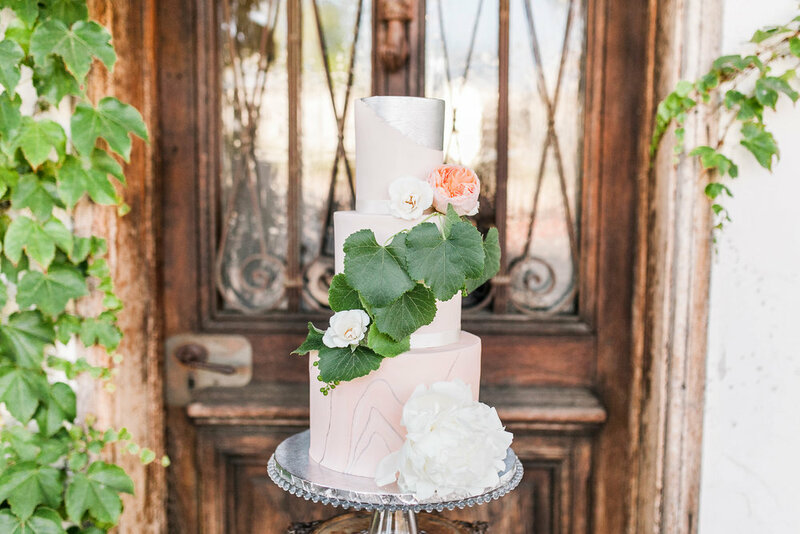 It was made for an intimate celebration nestled in the quaintest little area near The Mission San Juan Capistrano. If you're in the midst of wedding planning in orange county take a peak yourself at the venue in my work below. I'll even walk you through the elements so you can get ideas for your own wedding. If you scroll down to the bottom you'll find the dreamy team that was brought in to pull this all together. 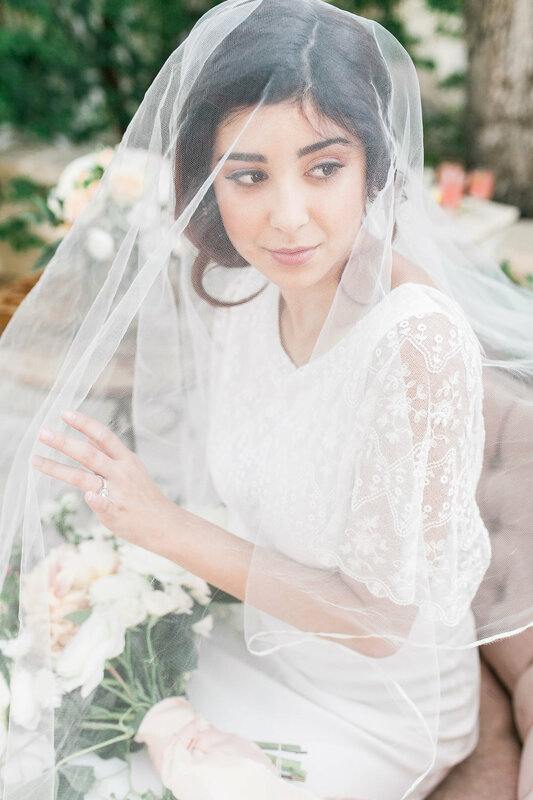 Our bride was styled with a subtle and neutral look by Cheryl Nacario a hair and makeup stylist based in Santa Barbara, but sought after in Los Angeles and Orange County for her incredible work in bridal, editorial and runway. 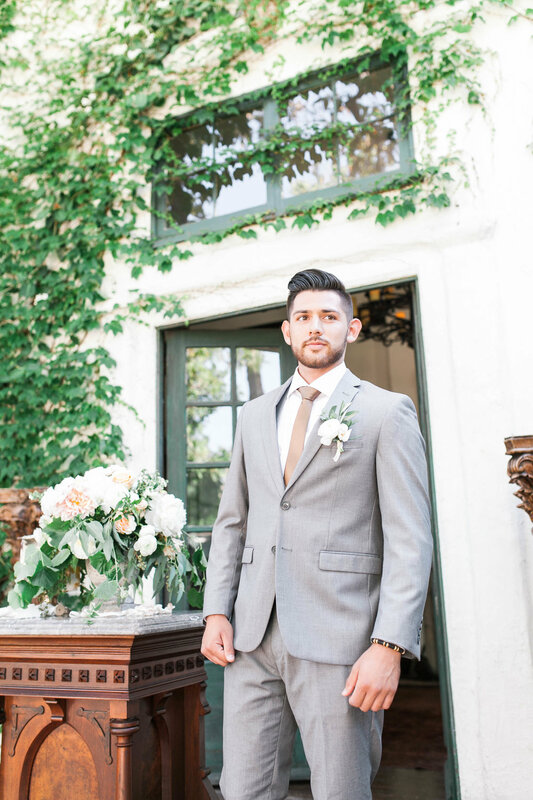 Our groom was decked out in the Heather Grey, Midnight Blue suit by Friar Tux. 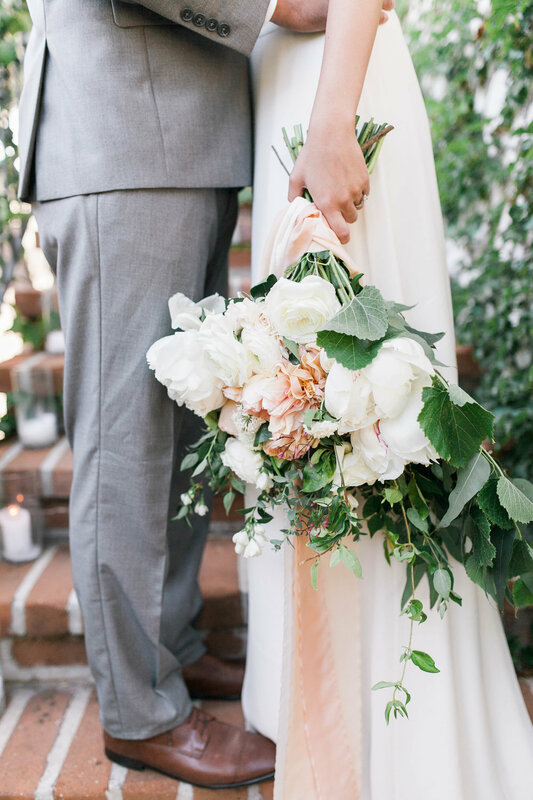 Our bride was so eloquently dressed in a Donatelle Godart gown sourced at Solstice Bride in Venice, CA. The one-on-one service you get from the staff at Solstice Bride is so helpful, especially for a flustered bride or for a cool bride ditching the traditional and looking for something a little more edgy. 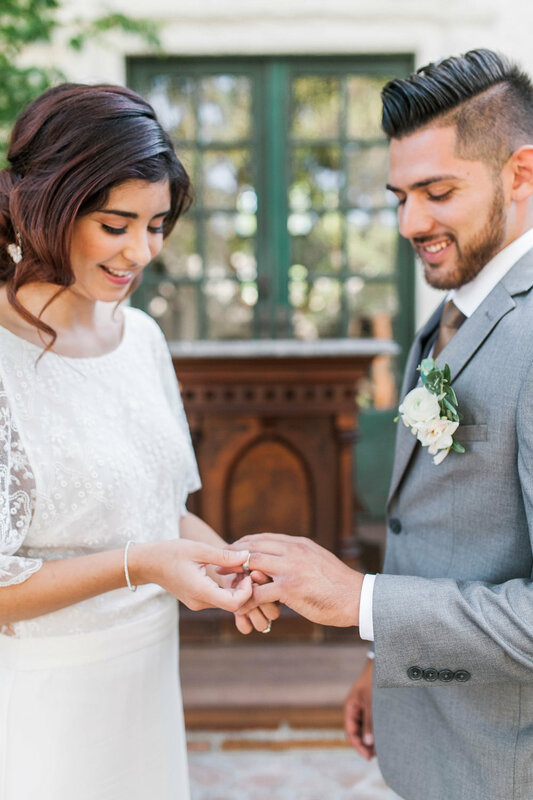 This love story was captured so romantically and beautifully the talented orange county wedding photographer, Crystal of Crystal-Nicole Photography. She's a photographer for the romantic, the stylish and- of course- the stylish. For a planner and designer, rental companies play a vital role in making your wedding come to life on your special day. Your rentals constitute the bulk of your wedding items so it's important to partner with someone that can provide you with custom items that match YOU as the couple. Archive Rentals is a specialty rental company that provided the unique plates, flatware, glassware, candle holders, salt and pepper holders and so much more for this fete. One of our favorite phrases to live by is "Better Together." Whether it be meant for our families, to our spouses or our besties, life is better when we are together! The fabulous Black Label Decor custom designed the "better together" laser chair back hangers you see here. She also provides personalized hangers, cake toppers and so, so much more! Mix Bake Decorate is a specialty pastry shop providing sweets with real, fresh, ingredients. Who doesn't love cake?! She crafted this three tiered cake with slivers or silver foil. 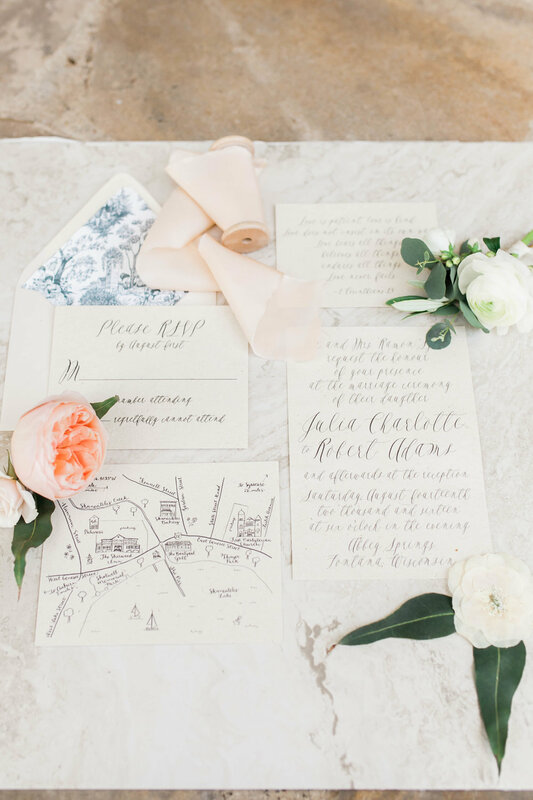 The invitation suite and paper goods were custom designed by Charley Paper Company which is a boutique wedding stationary shop. 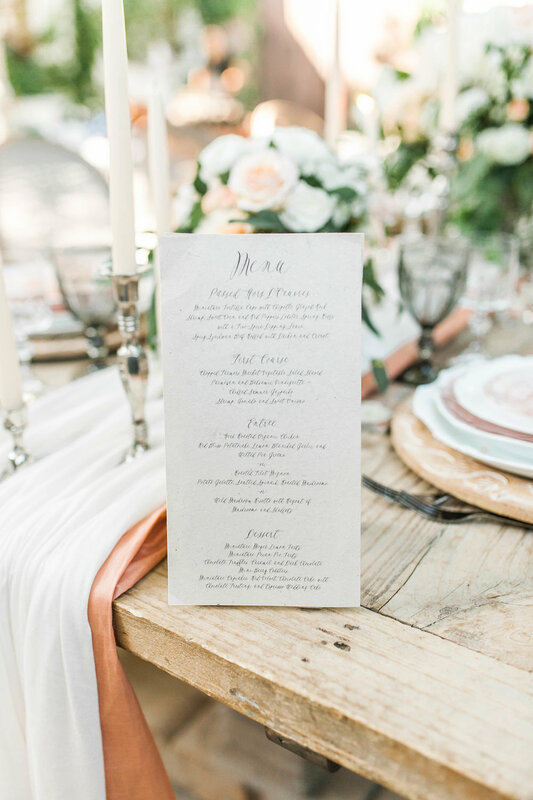 They provided calligraphy for each place setting, designed the menus and crafted the name cards on seed paper that fell in line with the garden style courtyard.